The mainstream media is taking a rollicking victory lap over the Supreme Court’s landmark ruling which legalized gay marriage in all 50 states. 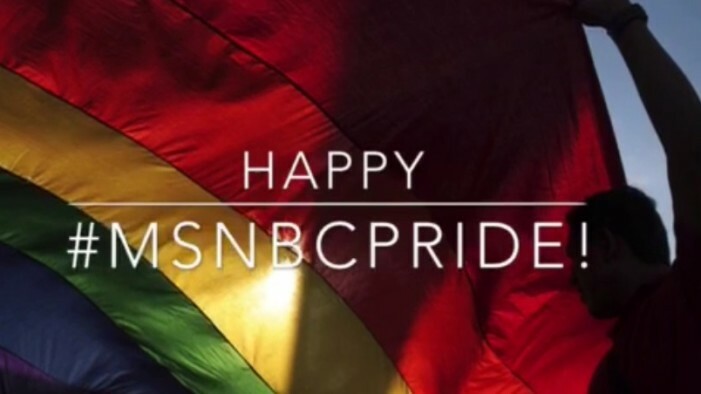 The network created the hashtag “#msnbcPride” to promote their celebration of Pride Month and added a section to their website specifically for people to share photos and videos of their “Pride,” in addition to the video. The Washington Post took the extra step of invoking the divine. “Senior White House official Betsey Stevenson, a member of the Council of Economic Advisers, captured what looked like a sign from the heavens on Friday at 11 a.m. Stevenson snapped a photo of a rainbow that had appeared over the White House,” Wonkblog’s Ana Swanson wrote. The celebratory rainbow image was not actually from the day of the decision, prompting the White House official, Betsey Stevenson, who tweeted the image to clarify.